Lovenox (20 mg) is a medication that can be utilized and prescribed for many conditions stemming from the production of blood clots. Lovenox prevents blood clots from forming and is often an essential infertility medication used in combination with IVF procedures. Lovenox 20 mg is most often recommended for women who are undergoing IVF implantation procedures, whether there is a history of miscarriage or not. This is because this fertility medication increases the chances of conception. 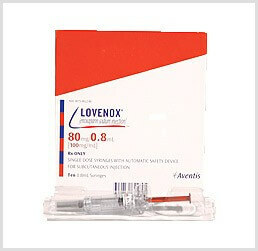 Lovenox 20 mg is one of many high quality infertility medications offered by IVFPrescriptions. Of the types of IVF meds on the market, Lovenox has a proven track record when it comes to successful implantation and providing support to the embryo shortly after implantation. Because ivfprescriptions.com offers only the top branded IVF medications we are able to help you save on the Lovenox price, and keep the costs of IVF treatments lowered. Lovenox 20 mg injectable, used as part of the overall IVF treatment, and in conjunction with other IVF drugs, may offer some side effects. 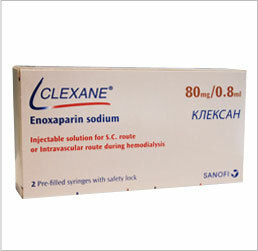 While taking this medication, some may experience nausea, itching at the injection site, mild stomach pain, or diarrhea. Most who experience these symptoms see them go away over time, or lessen in severity. Symptoms that are persistent, or for worsening symptoms, which could include fever, bloody urine, fluid retention, bruising under the skin, or anemia, should seek a physician’s care immediately. Signs of a severe allergic reaction include, but are not limited to: swollen lips, tongue, or face, shortness of breath, or wheezing. If any of these symptoms appear, seek help immediately.